[S153] Charles Nelson Sinnett, Sinnett's Sewall genealogy, p. 31. [S34] Unverified internet information, http://oasis.harvard.edu:10080/oasis/deliver/~sch00736 (June 2007). [S208] 1900 US Census, Portsmouth, Rhode Island. [S205] Newspaper, Newport Mercury and Weekly News, 13 February 1976. Loyall Farragut Sewall. Investment banker. He was born on 13 September 1894 in Bath, Maine.2,3,4 He was the son of Harold Marsh Sewall and Camilla Loyall Ashe.5 Loyall Farragut Sewall graduated from Bowdoin. He entered military service and served in France with the American Ambulance Corps in World War I before America entered into the conflict. Later he was a Tank Corps captain in France and was wounded. During World War II Mr. Sewall was a major in the Military Police and that organization's Provost Marshal in Northern England. Later in the war he was attached to the staff of Gen. George S. Patton Jr. on the Continent. [S160] New York Times, 8 Apr 1958. [S160] New York Times, 8 April 1958. [S392] Website findagrave.com (http://www.findagrave.com/) "# 45852513." [S160] New York Times, 13 Sep 1958 p. 13. [S205] Newspaper, Maine Sunday Telegram (Portland, ME) - February 19, 1995. [S160] New York Times, 13 Aug 1934 p. 10. [S160] New York Times, 25 July 1958. [S205] Newspaper, Biddeford-Saco Journal, 22 January 1964. [S232] Ancestry.com, Maine Marriage Records, 1705-1922. [S154] 1860 US Census, Southern Division, Mobile, Alabama. 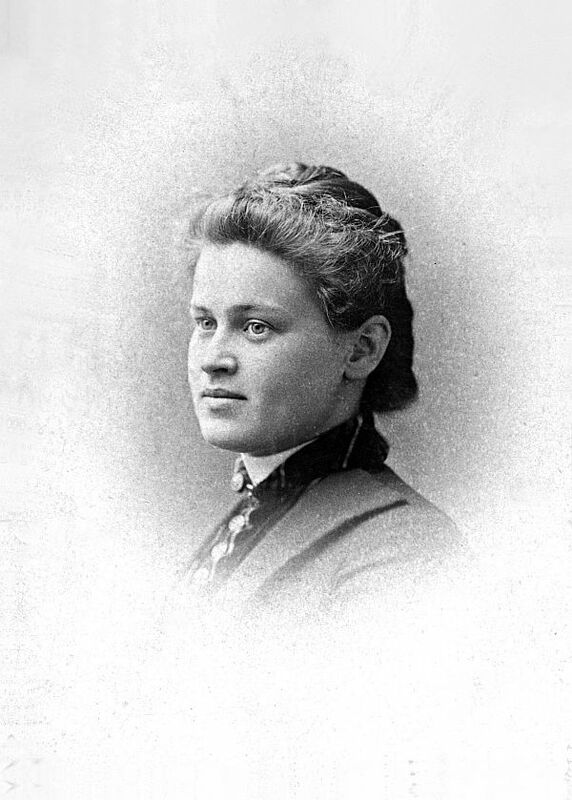 Lucy Sewall was the daughter of William Sewall and Anne Wagstaffe.1 Lucy Sewall married Henry Tadlowe, son of Henry Tadlowe. Lucy Sewall was living in 1624.2 She died before October 1627. [S31] Maryland Historical Magazine, 1909, p. 290. [S83] NEHGR, Vol. 113 p. 25. Vital Records of York, Maine. [S24] Sarah Elizabeth Titcomb, Early New England People, p. 226. [S106] Maine Families in 1790, Vol. 7 p. 449. [S205] Newspaper, The Congregationalist, (Boston, MA) Thursday, August 27, 1874. [S392] Website findagrave.com (http://www.findagrave.com/) "#57384139." [S205] Newspaper, Columbian Centinel, 8 September 1802. [S392] Website findagrave.com (http://www.findagrave.com/) "# 50561444." [S46] Various contributors, Daughters of the American Revolution, Vol. 92 p. 56. [S232] Ancestry.com, Massachusetts, Town Vital Collections, 1620-1988. [S392] Website findagrave.com (http://www.findagrave.com/) "# 89243049." [S392] Website findagrave.com (http://www.findagrave.com/) "# 89243179." [S89] Family Search, Illinois, Births and Christenings, 1824-1940, in entry for Elodie Morris, 1878. [S392] Website findagrave.com (http://www.findagrave.com/) "# 89594944." [S208] 1900 US Census, Kane, Greene, Illinois; Roll: 303; Page: 3A; Enumeration District: 21; FHL microfilm: 1240303. [S392] Website findagrave.com (http://www.findagrave.com/) "# 89594922." [S279] David Parsons Holton, Winslow memorial, Vol. 2, p. 885. [S3] Nina Moore Tiffany, Samuel E. Sewell: a memoir, p.113-114. [S205] Newspaper, The Liberator, 3 March 1865. [S117] The Times Newspaper, Saturday, Mar 01, 1890; pg. 1; Issue 32948. [S205] Newspaper, Boston Daily Advertiser, (Boston, MA) Saturday, February 15, 1890. [S392] Website findagrave.com (http://www.findagrave.com/) "# 6688161." [S153] Charles Nelson Sinnett, Sinnett's Sewall genealogy, p. 68. [S89] Family Search, Vital records, ca. 1771-1892 New Gloucester (Maine). Town Clerk. [S208] 1900 US Census, New Gloucester, Maine. [S107] 1880 US Census, Bath, Sagadahoc, Maine. [S208] 1900 US Census, Minnesota, Hennepin, Saint Louis Park, District 140. [S232] Ancestry.com, South Dakota Marriages, 1905-1949. [S231] 1930 US Census, South Dakota, Marshall, Miller, District 1. [S83] NEHGR, Vol. 113 p. 195. Vital Records of York, Maine. [S106] Maine Families in 1790, Vol. 1 p. 206. [S46] Various contributors, Daughters of the American Revolution, Vol. 124 p. 118. [S77] Sybil Noyes and Charles Thornton Libby & Walter Goodwin Davis, Genealogical Dictionary of Maine and New Hampshire, p. 428. [S83] NEHGR, Vol. 113 p. 128 Vital Records of York, Maine. [S83] NEHGR, Vol. 111 p. 227. [S106] Maine Families in 1790, Vol. 1 p. 115. [S392] Website findagrave.com (http://www.findagrave.com/) "# 63782794." [S83] NEHGR, Vol. 112 p. 24. [S392] Website findagrave.com (http://www.findagrave.com/) "# 63793136." [S205] Newspaper, St. Louis Globe-Democrat, February 04, 1882. [S209] 1870 US Census, York, Maine. Lydia Maria Sewall was born on 14 April 1791. 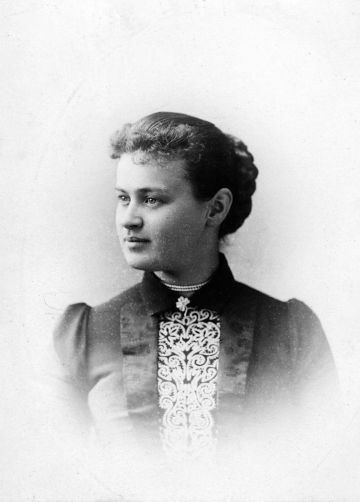 She was the daughter of Chief Justice Samuel Sewall LL.D. and Abigail Devereaux. Lydia Maria Sewall married Deacon Samuel Greele, son of Samuel Greele and Olive Read, on 3 May 1812 in Marblehead the service was conducted by the Rev. Dr. Eliot. [S205] Newspaper, The Repertory & General Advertiser. 5 May 1812. [S46] Various contributors, Daughters of the American Revolution, Lineage Book of the Charter Members of the DAR Vol 40. [S392] Website findagrave.com (http://www.findagrave.com/) "# 136947773." [S392] Website findagrave.com (http://www.findagrave.com/) "# 136947680." [S392] Website findagrave.com (http://www.findagrave.com/) "# 136947802." [S392] Website findagrave.com (http://www.findagrave.com/) "# 92790287." Lyman Beecher Sewall. Blacksmith.3 He was born on 5 April 1840 in Winslow, Kennebec County.4,2 He was the son of Samuel Sewall and Tryphosa Fuller.4 He was probably the Lyman B. Sewall who entered military service on 14 July 1862 as a private in Company F 33 Mass. Infantry, he was discharged on 11 June 1865.5 Lyman Beecher Sewall married Josephine Augusta Harris on 16 August 1866.4 Lyman Beecher Sewall and Josephine Augusta Harris appear on the census of 1910 at Montague town, Franklin County, Massachusetts, where his occupation is still that of a blacksmith.6 Lyman Beecher Sewall died on 18 July 1916 in Montague, Massachusetts, at the age of 76. [S153] Charles Nelson Sinnett, Sinnett's Sewall genealogy, p. 46 c.f. [S89] Family Search, Vital records of Winslow, Maine, to the year 1892 : births, marriages and deaths. Lang, Sara Drummond. [S207] 1910 US Census, MA, FRANKLIN, MONTAGUE. [S317] 1890 US Census, 1890 Veterans Schedules. [S207] 1910 US Census, Massachusetts, Franklin, Montague.